With two players in the top three and a third place team finish, women’s golf is poised for a successful fall. 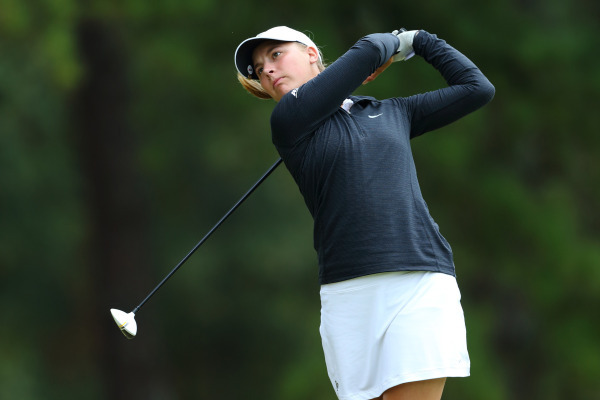 The College of Charleston women’s golf team played host to the 14th Annual Cougar Classic on Oct. 2-4 at Yeamans Hall Club in Hanahan, South Carolina. The 2016 edition of the Cougar Classic continued to embody the tradition of excellence that tournament founders John Rivers and College of Charleston head coach Jamie Futrell envisioned with the inception of the tournament in 2003. This year’s tournament included seven teams ranked inside the top 30 at the end of last season. Arkansas, 10th, were favorites going into the event with Wake Forest playing the role of the outsider. The course played at 6,224 yards. The Demon Deacons started senior Sierra Sims (Odessa, Florida), sophomore Jennifer Kupcho (Westminster, Colorado), sophomore Antonia-Leonie Eberhard (Burgdorf, Germany), freshman Mathilda Cappeliez (Publier, France) and freshman Sierra Brooks (Sorrento, Florida). Senior Sierra Sims impressed in her first round shooting a 66 (6 under, par 72), which was the lowest round of the day. Furthermore, she led the competition with a 3.77 average on the par fours throughout the tournament. Sophomore Jennifer Kupcho was equally impressive with her 2.75 average on the par threes, which were considered key holes going into the event. The team philosophy is to increase skills so that students become more confident and to work on individual playing strategies during the practice round. Evidence of this mantra working can be seen in both the individual and team results; Wake Forest finished third in the team rankings with both Sierra Sims (2nd, 207) and Jennifer Kupcho (3rd, 209) on the podium for the individual rankings. The other players on the team also did what was requested of them. Sophomore Antonia Eberhard and freshman Mathilda Cappeliez, our two international athletes, continued to adapt to American collegiate golf, while freshman Sierra Brooks earned a respectable top 50 finish in the 107 player field. “During the round, if a student gets off track, we try to get the student to work on tempo and feel instead of mechanics. We also encourage them to focus and visualize the target, which are two helpful techniques. We walk with the students during a round to help them relax. We also help with strategy, shot selection and reading putts.” said Daily. She also added that swing mechanics would be taken care of at a practice session after the round; in other words, the message seems to be quite simple and effective: swing, don’t think. The Deacs will be looking to build upon this positive momentum as they get ready for the upcoming Lady Tar Heel Invitational at Chapel Hill, North Carolina.